Built by Baglietto for an experienced yacht owner, she has been very well maintained by the same Owner since new. 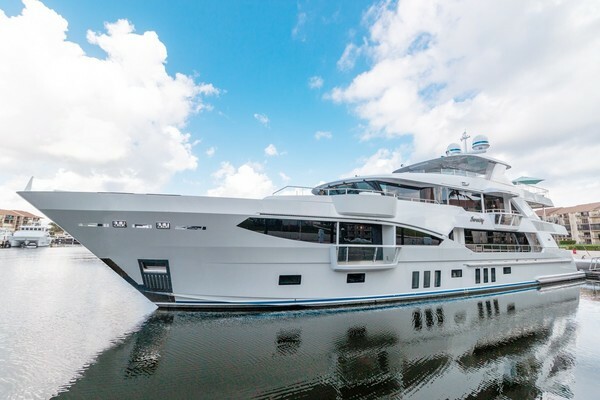 She features 6 cabins and offers accommodation for 14 guests with a full beam master that also boasts balconies on both port and starboard sides. She has a spacious saloon and also a very generous sky lounge. Her exterior deck space is also vast, providing further entertaining areas for guests with 2 large dining areas on the upper aft deck and the sun deck. 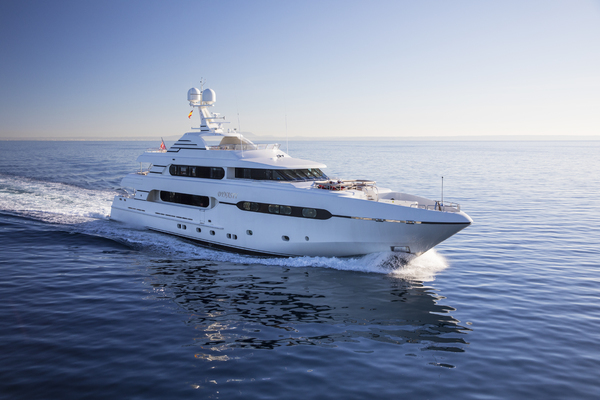 In terms of performance, GEOSAND cruises at 16 knots with a range of 1,180 nautical miles making her the perfect yacht for Mediterranean Sea.